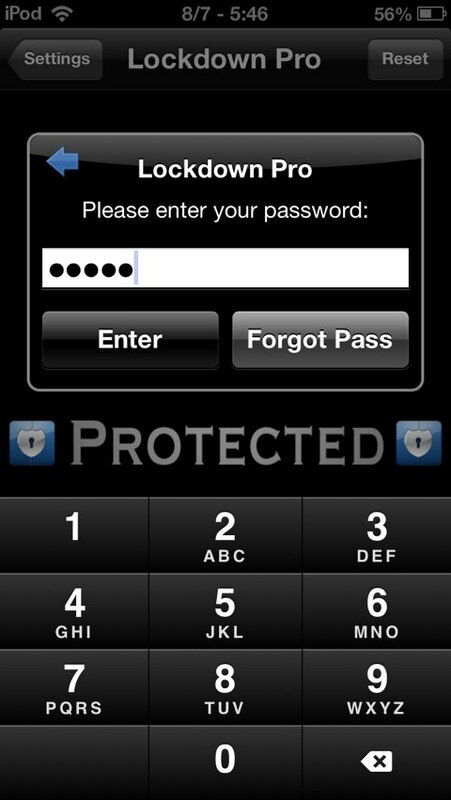 Lockdown Pro is a cool app for your iPhone/ipad that lets you password protect applications on your iOS device. Using Lockdown you can lock apps on your iPhone including Facebook app, Instagram, Twitter sharing or any of your personal app. Many times your iPhone has certain information that you don't want others to see. This happens frequently if you keep adult content and your kids use to play with your iPhone. Your friends might peak into the messages you don't want them to see. At such times it would be allot better to lock these apps. And at such times Lockdown comes to rescue. You can download Lockdown from Cydia for free and enjoy all its features. Here I have discussed some cool features of Lockdown Pro Cydia app and download tutorial. Just go through it and get the password protection on your iOS device for free. Also see - Air Blue for iPhone Bluetooth file transfer. Lockdown uses 256 bit encryption for privacy and security. Make your apps Invisible - You can hide your apps and note files. No one will be able to see them until you unhide them. Blocked Notification - All locked apps notifications will be blocked and their banner view will be stooped from appearing onto notification bar. Hidden Apps Launcher - You can also hide the app and launch it keeping it hidden. Activator Support - Lockdown uses Activator to run. 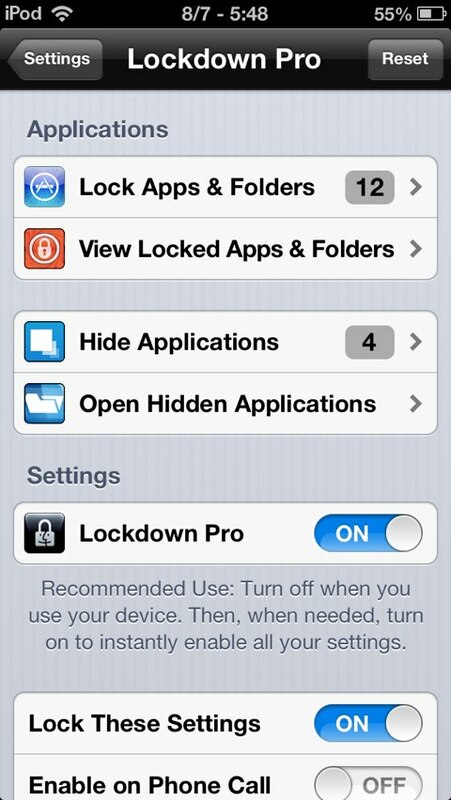 Thus you can enable Lockdown Pro anywhere. 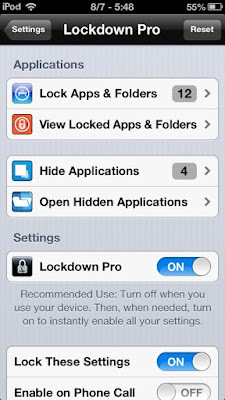 Note that activator is a must for Lockdown Pro. Like if your are running iOS 9 on your iPhone then you have to install activator Cydia tweak for iOS 9 in order to run Lockdown Pro. Custom Applications View - It mimics your homepage. Lock Photos - You can lockdown your personal photos from anywhere. Inbuilt app movement and deletion - You can move apps from one folder to another or delete them anytime. Multiple Passwords - You can assign different passwords for different apps. Thus no tension if someone sees one password. Other apps will be still safe. Retina Display - Lockdown Pro is completely compatible with retina display. Choose Password - You can choose between alphabetic and numeric passwords. You can lock and unlock apps directly from your homepage. So these were some unique features of Lockdown Pro Cydia app. Below are some simple steps through which you can download Lockdown Pro for free. Step 1 - Tap Cydia icon on homepage and open it. Step 2 - In the search bar, search for Lockdown Pro. Look for Lockdown Pro in the search results and tap it. Step 3 - Click on the Install button and download Lockdown Pro. Lockdown Pro is now successfully installed on your iOS device. Just use it freely and password protect your apps to keep them safe and secure.